Apple cider vinegar is probably not most people's go-to beverage out there, but given the health benefits, it's definitely worth taking a few (diluted!) sips. 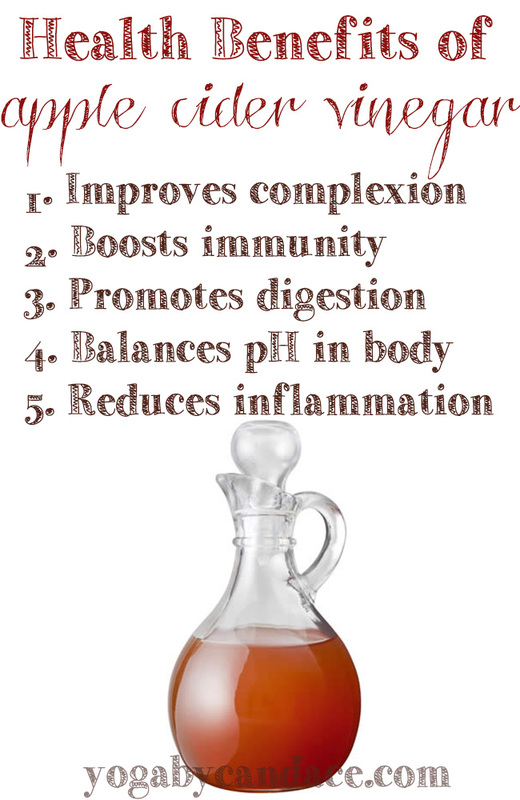 Be sure that the ACV is raw and has not been altered in any way. (I recommend Bragg's.) Put two teaspoons in a cup of water or juice and drink up. Alternatively, take a detox bath by putting one cup for every two quarts of water in the bath. Apple cider vinegar in the bath is a good way to balance the body's pH, and relieve inflammation.